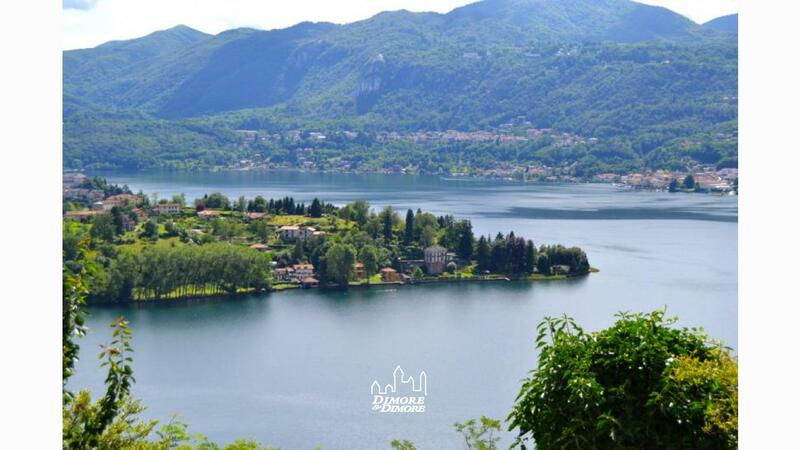 In the next part of the lake country of Miasino stands the village of Carcegna, an ancient nucleus all gathered around the old town where you have the feeling that time has stood still in the distant past. 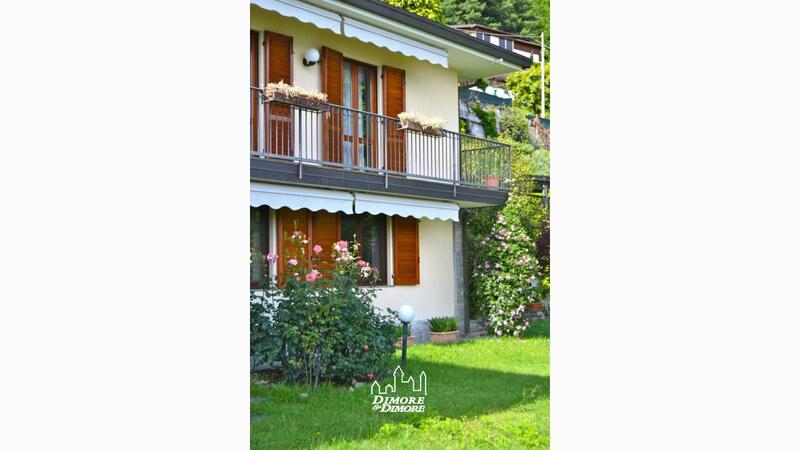 Since 1500 this country has been the holiday destination of noble Milanese families, continuing this tradition with a moderate development that has facilitated the arrival of seasonal residents from abroad, particularly from England, Switzerland and Germany. 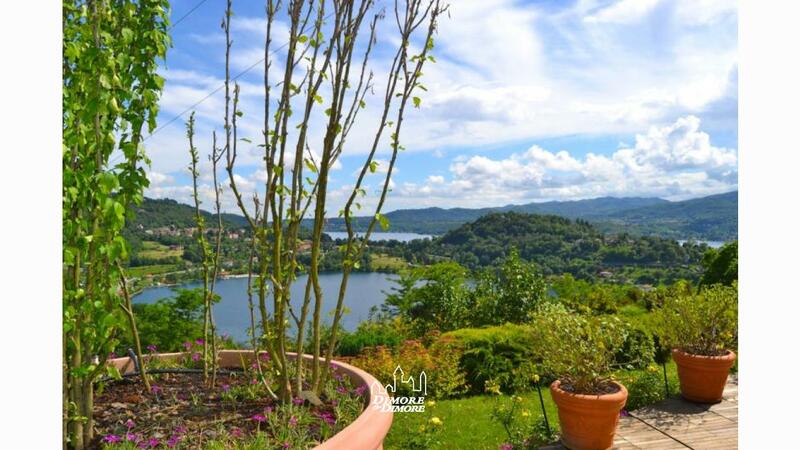 From a road very private property is accessed via a motorized gate and a ramp to the gentle slope ending at the covered parking spaces in the immediate vicinity of the villa. 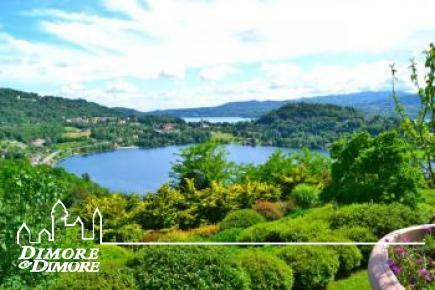 The plot of around 5,000 perfectly preserved as a garden where the flowers chase throughout the year, given the variety of species found there. 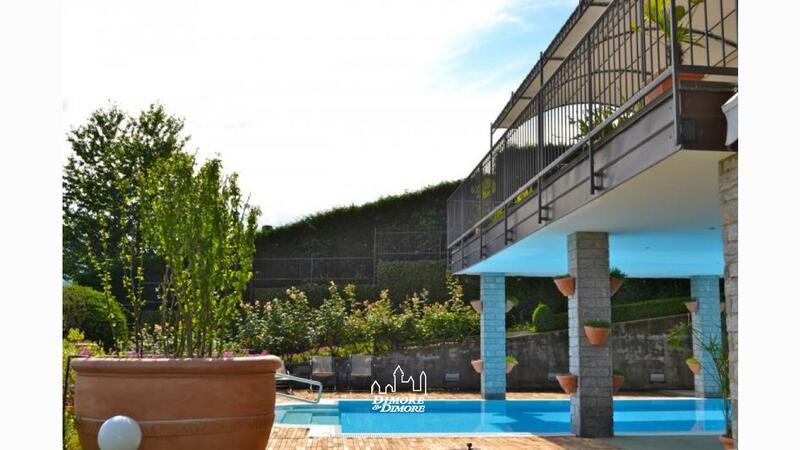 Fully fenced and surrounded by hedges of less than 5 meters high, offering their locations with respect to the core of the town and highway access, complete privacy, no noise and pollution in general. 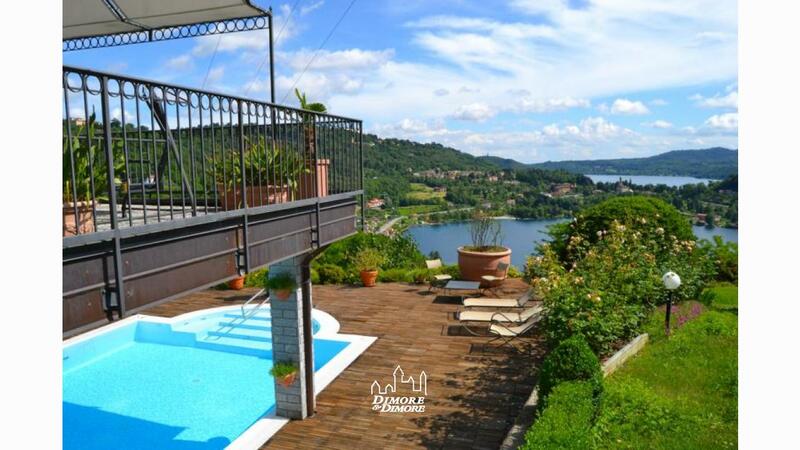 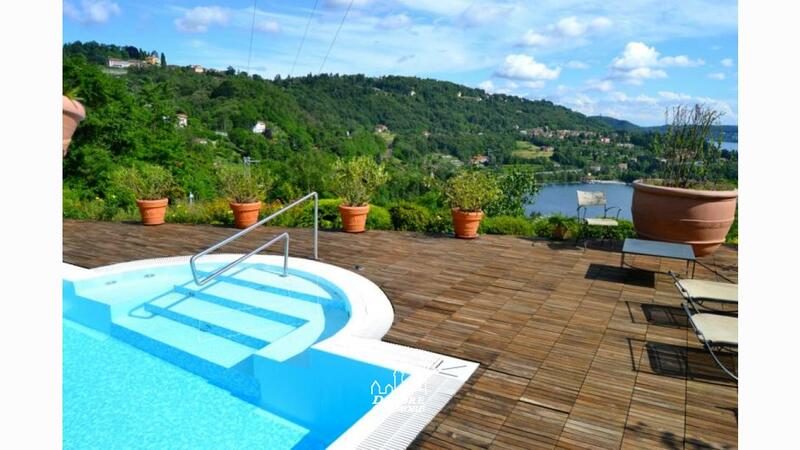 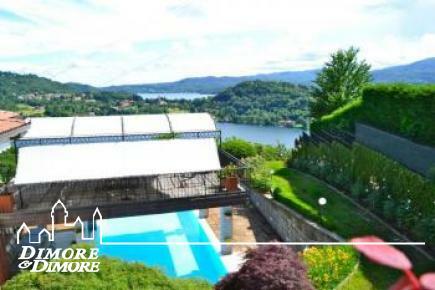 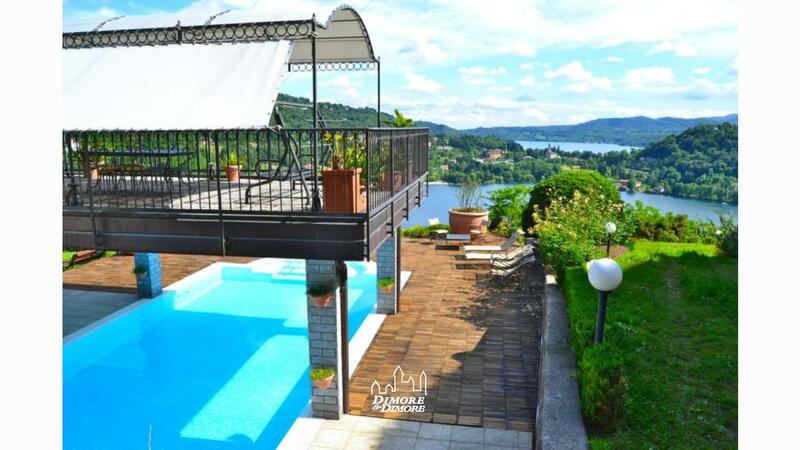 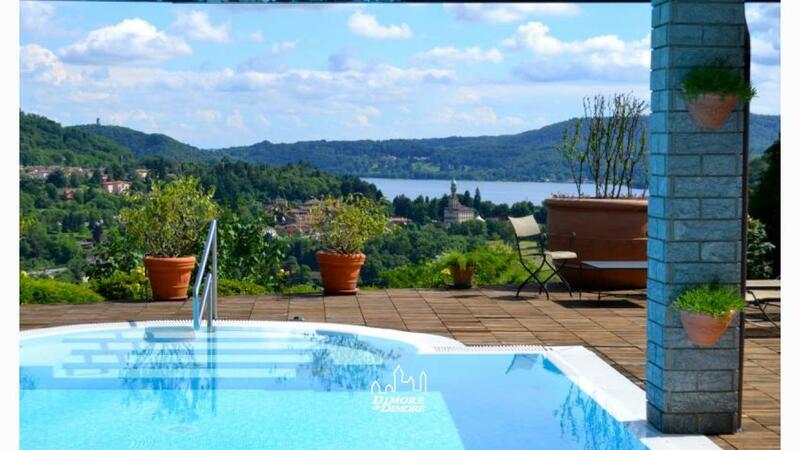 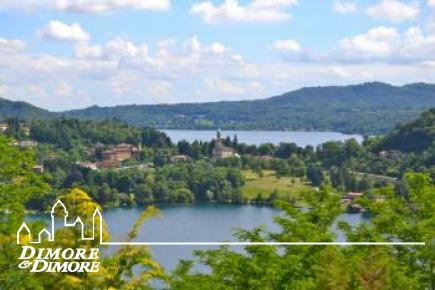 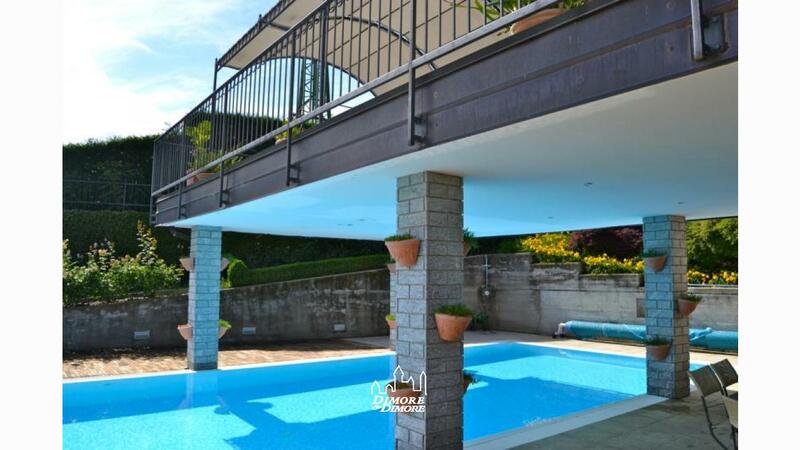 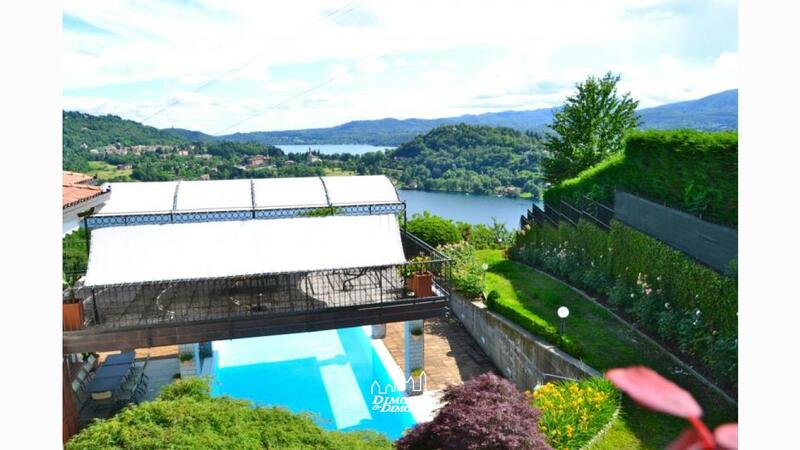 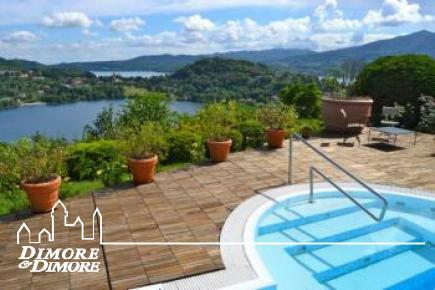 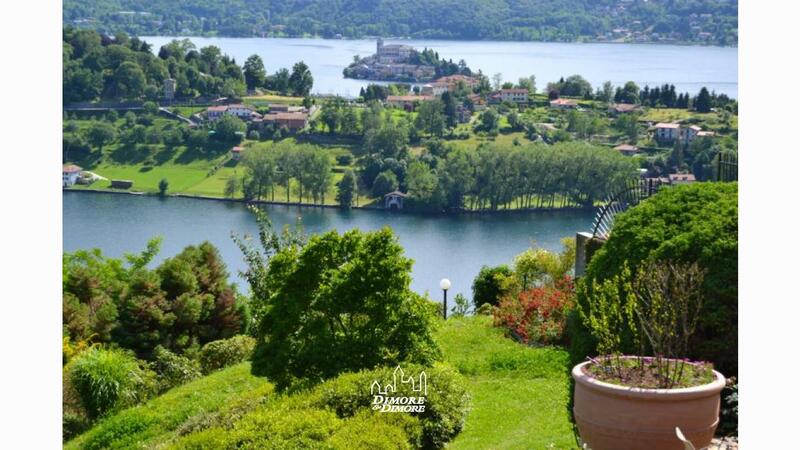 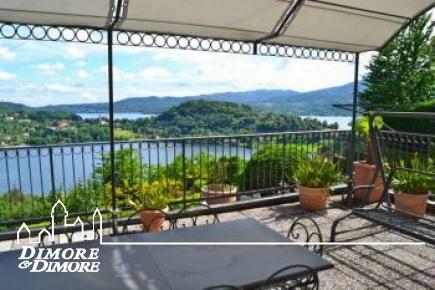 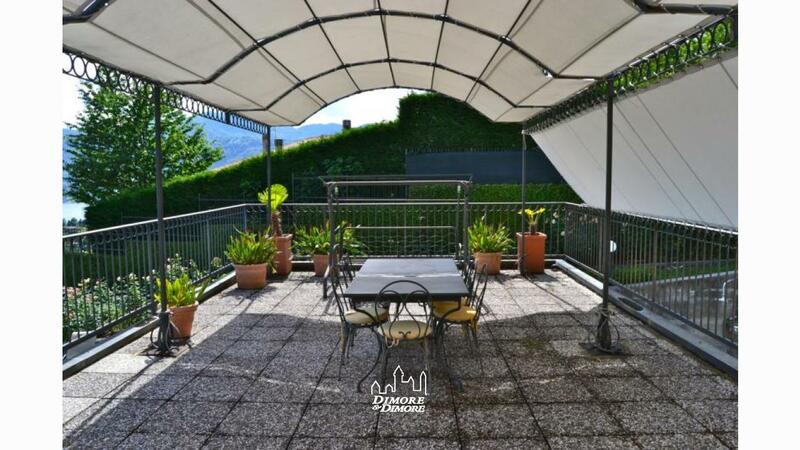 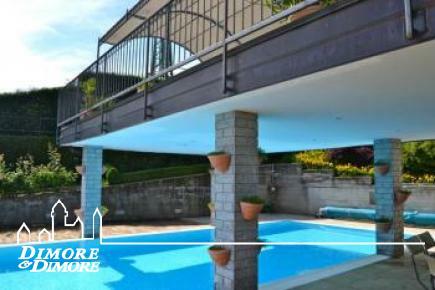 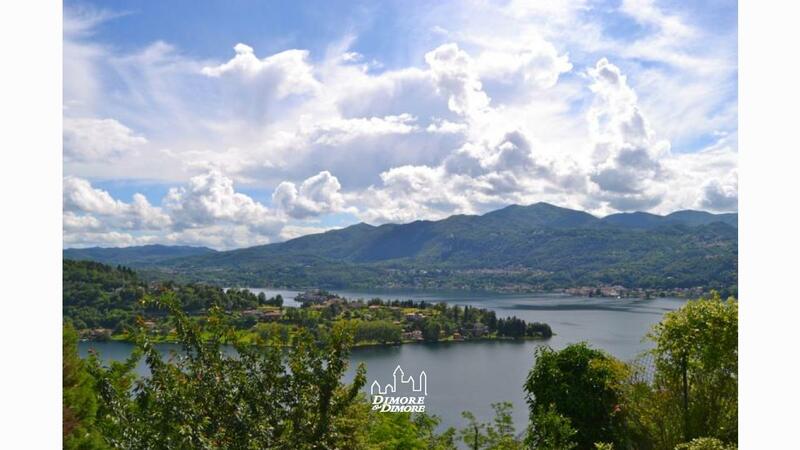 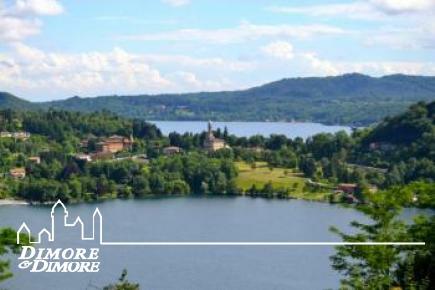 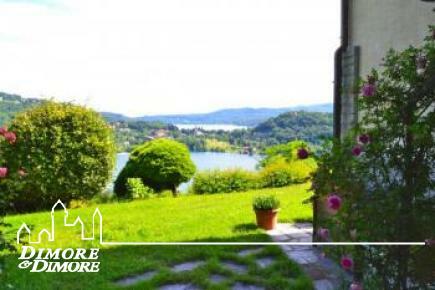 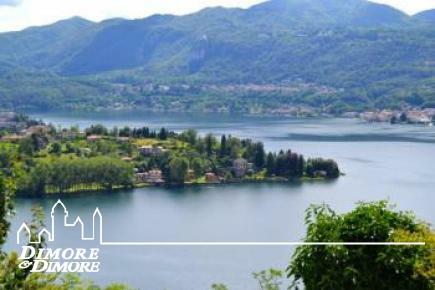 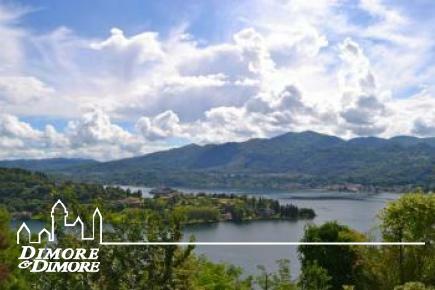 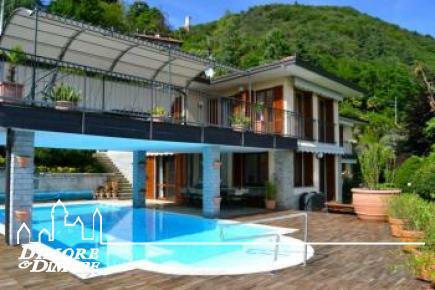 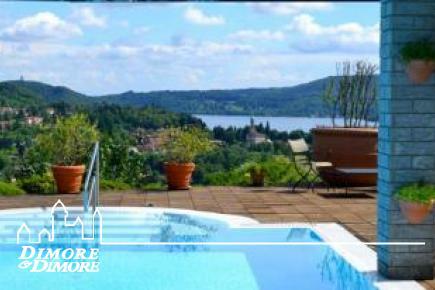 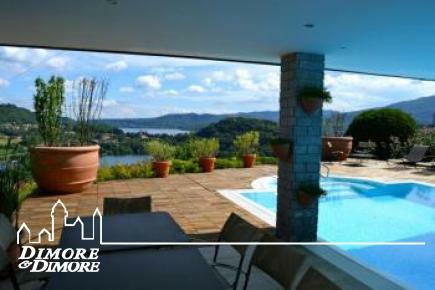 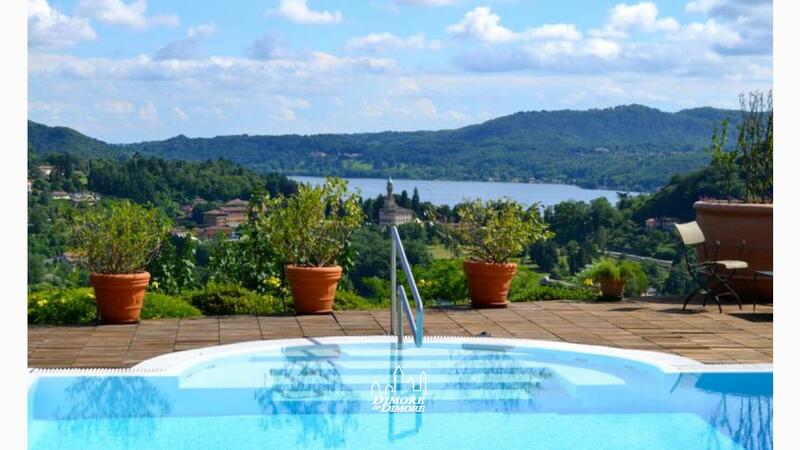 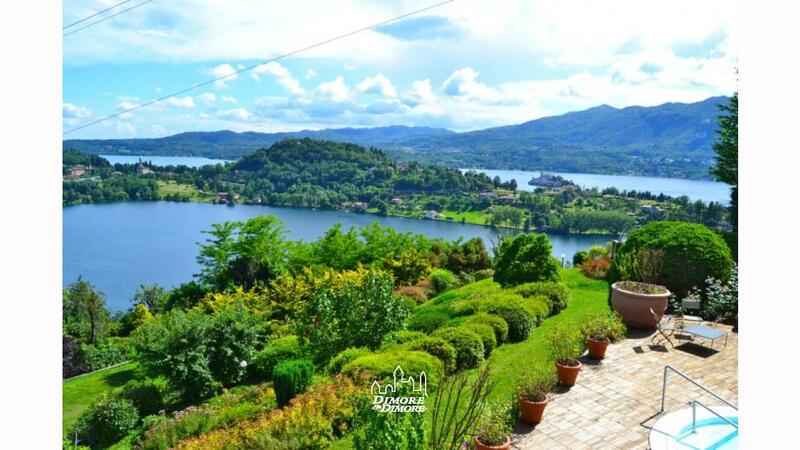 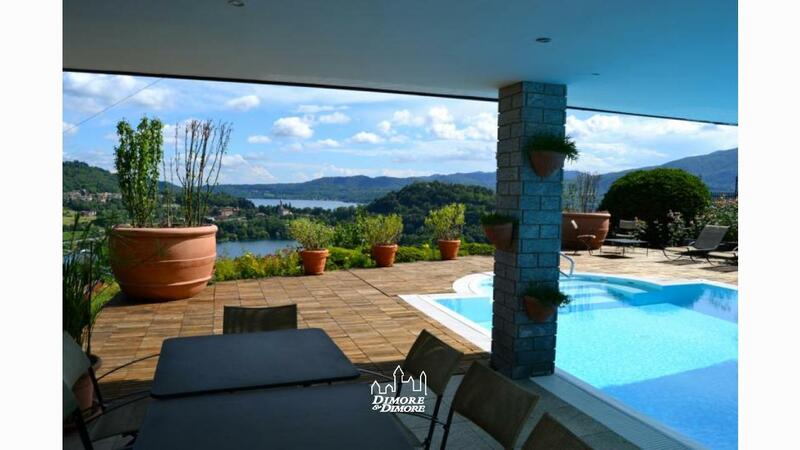 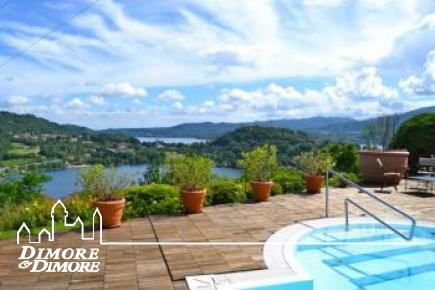 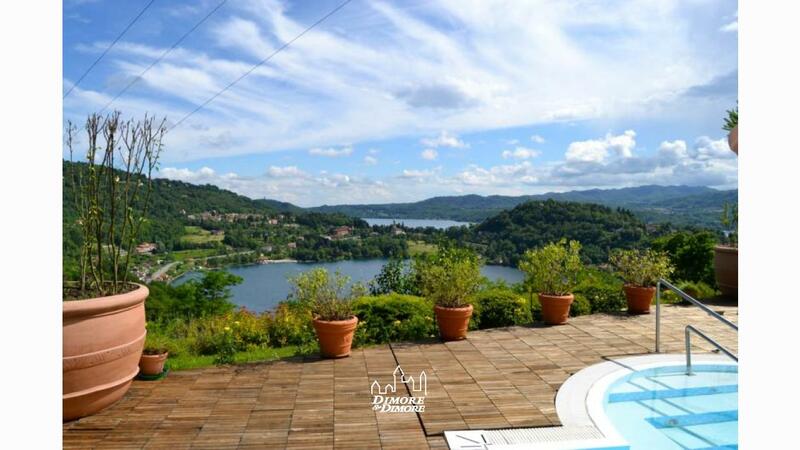 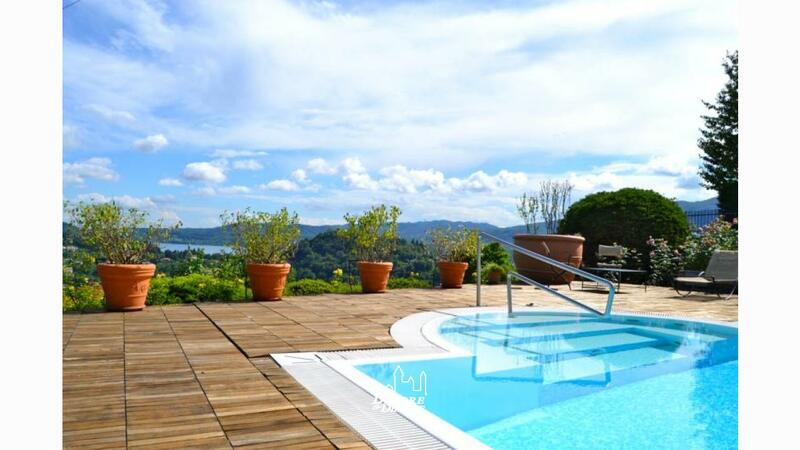 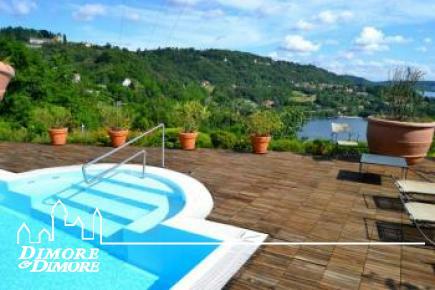 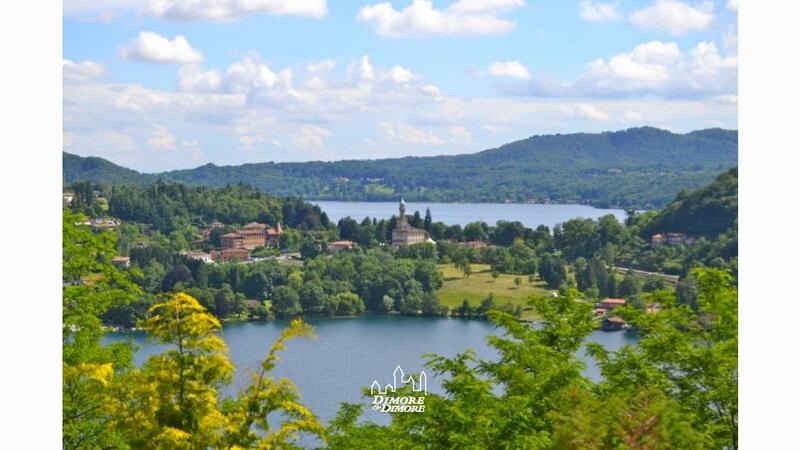 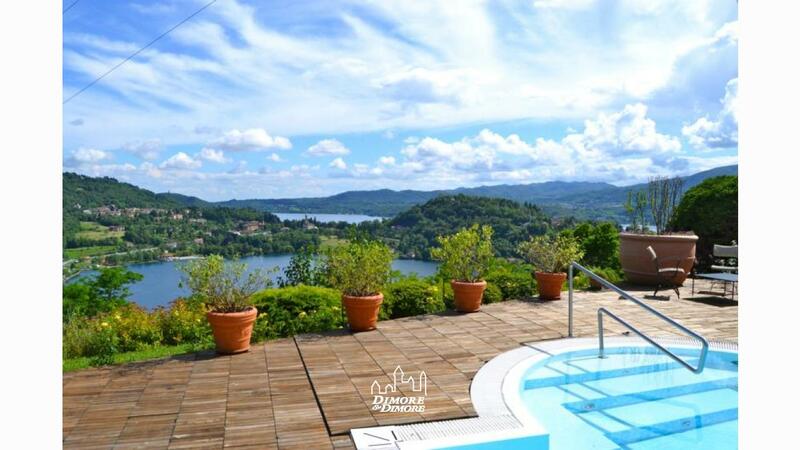 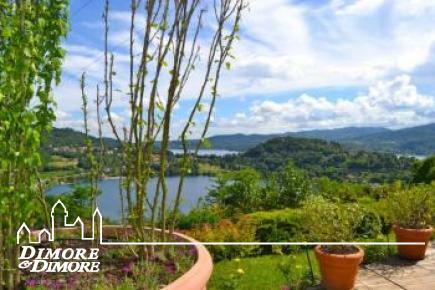 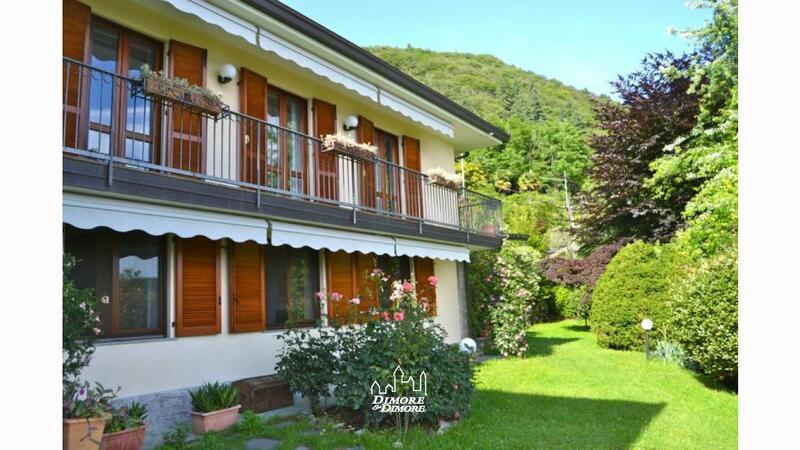 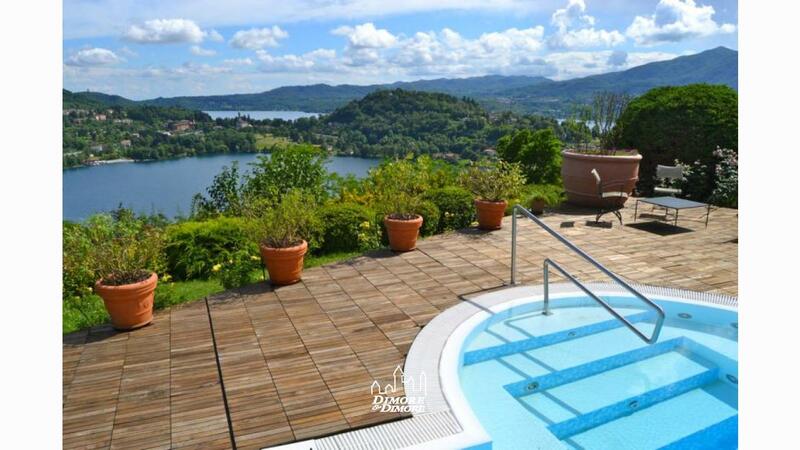 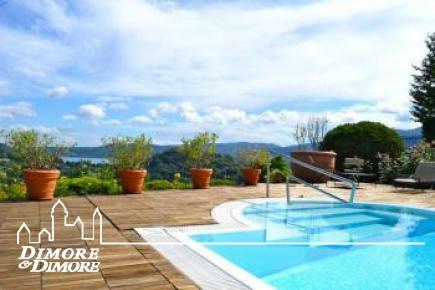 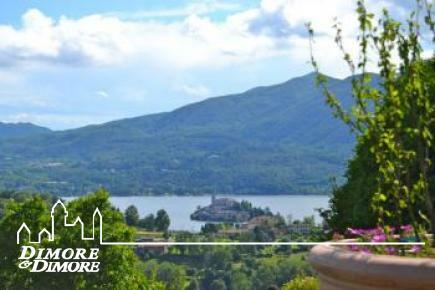 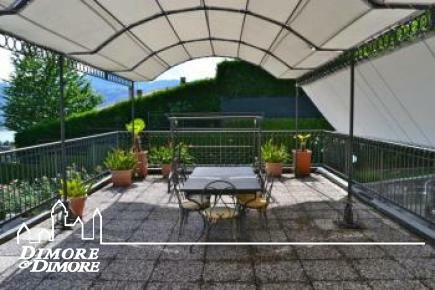 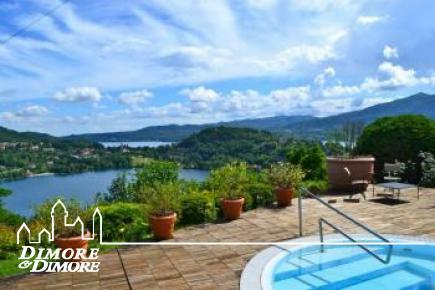 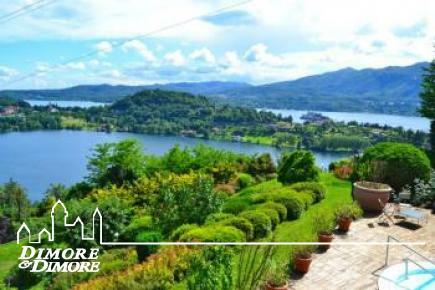 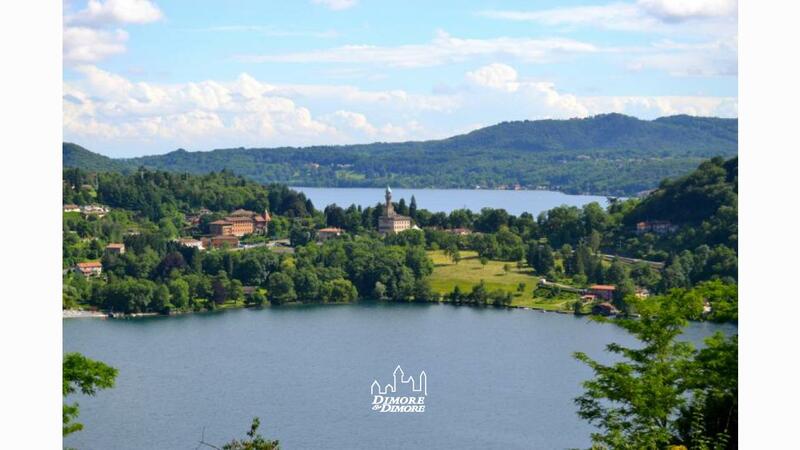 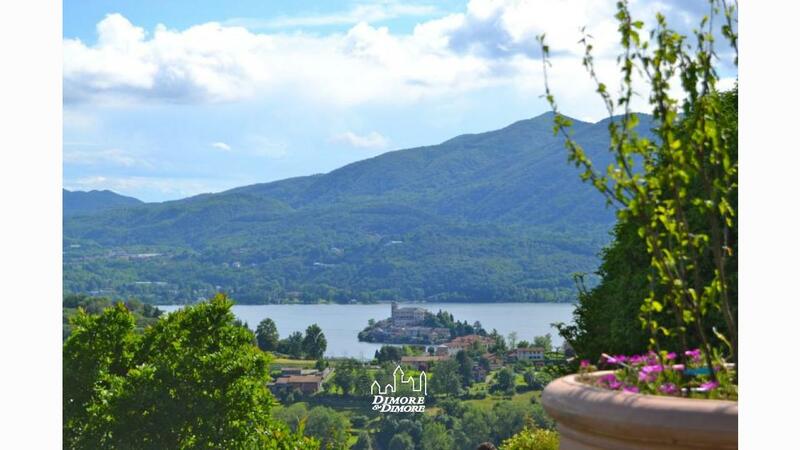 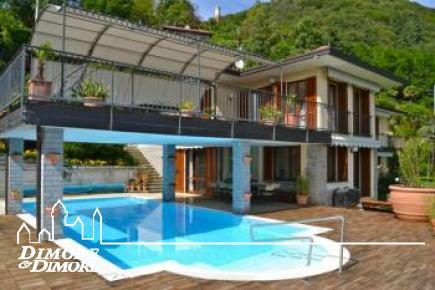 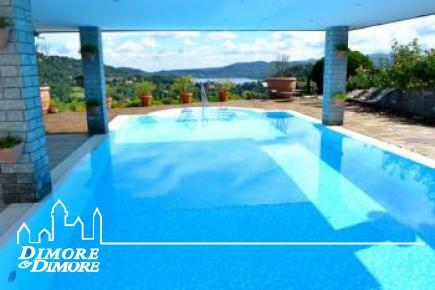 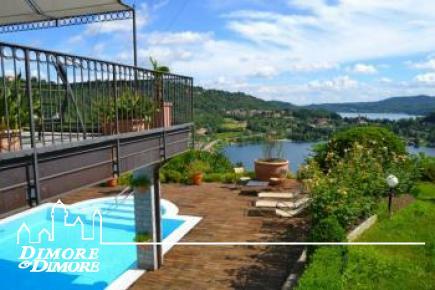 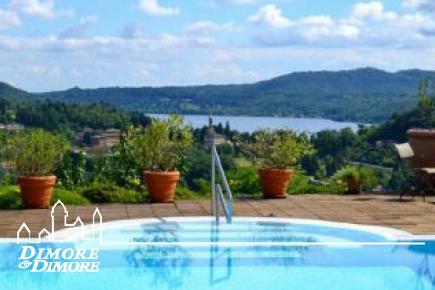 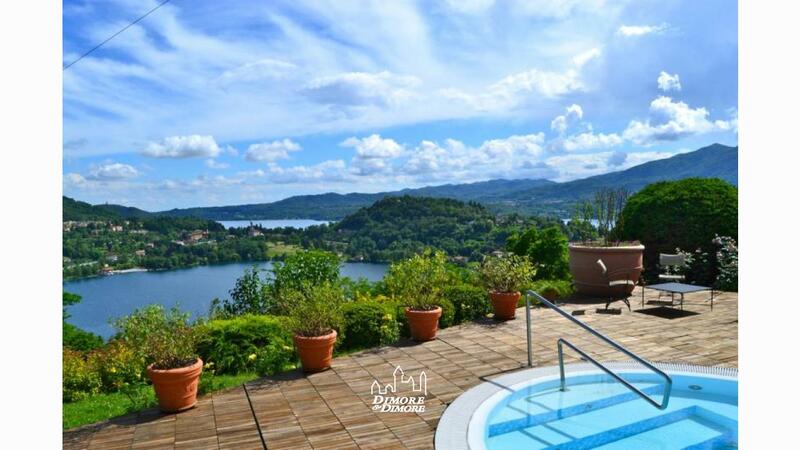 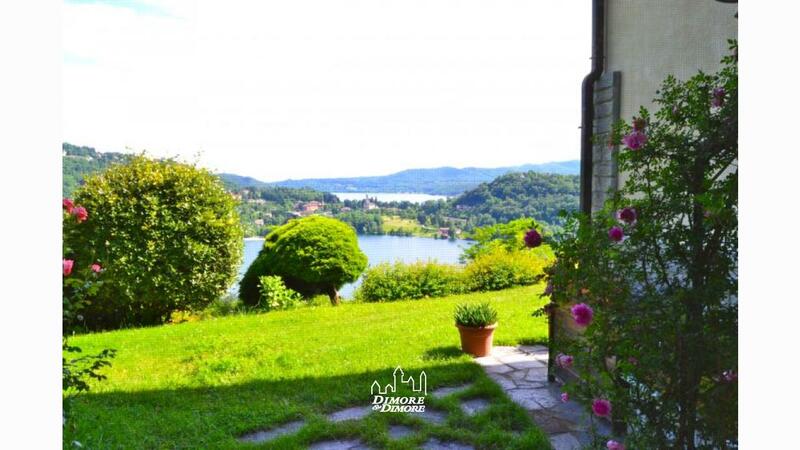 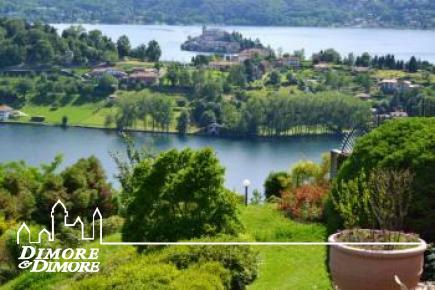 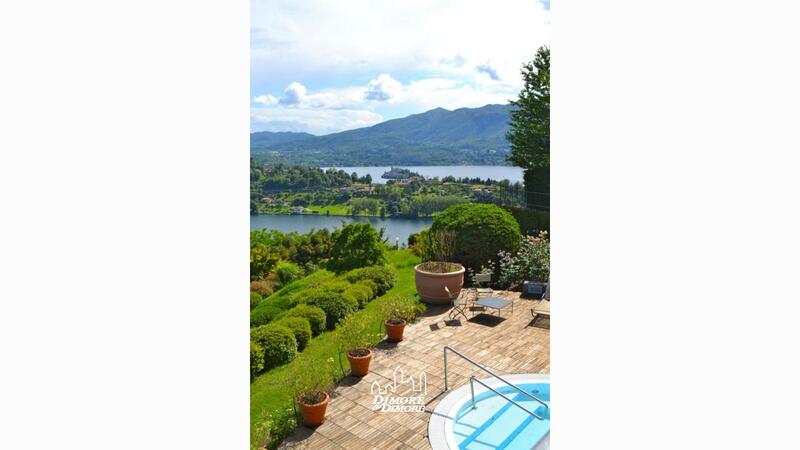 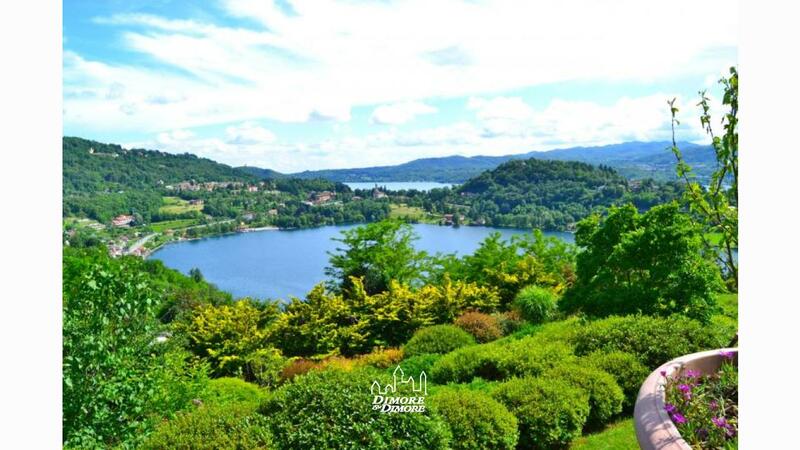 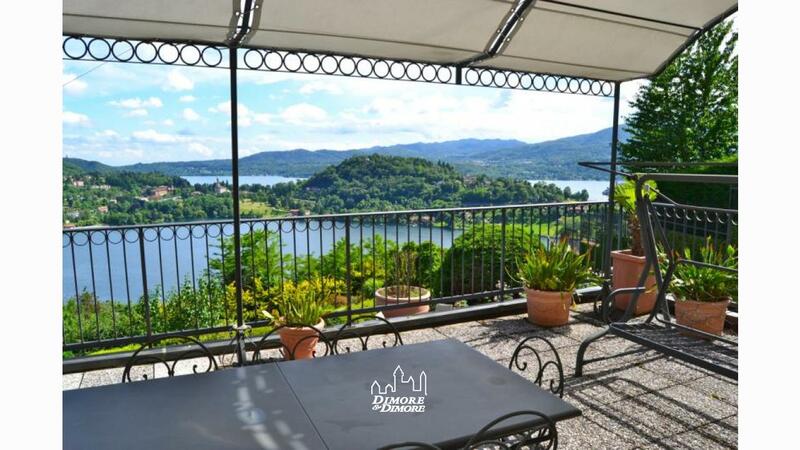 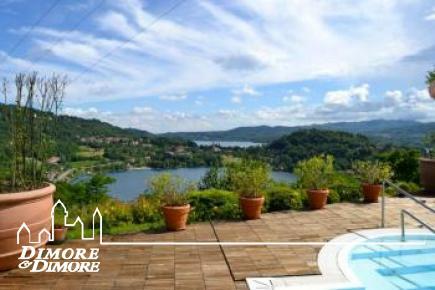 In a gentle slope, alternating with perfectly flat areas and driveways, presents an optimal solar exposure and a wonderful view of the whole basin of Lake Orta, Orta on the peninsula and the island of San Gulio. 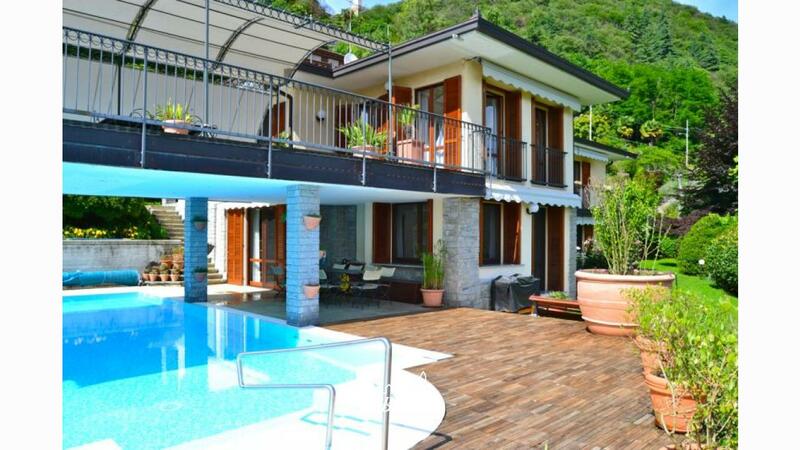 The villa has a traditional and modern at the same time, certainly well conceived to provide guests with cozy interiors built with large outdoor areas on terraces, pool and arcade. 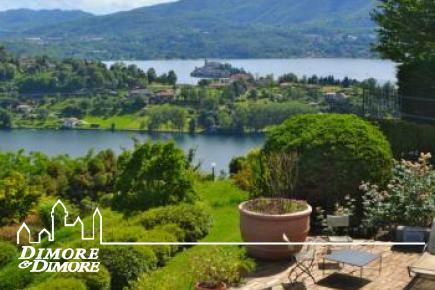 Meticulously restored a few years ago, has high quality finishes and fittings plant congeniate well, which combined with careful and continuous maintenance of allowing the buyer to use the villa without any additional investment required. 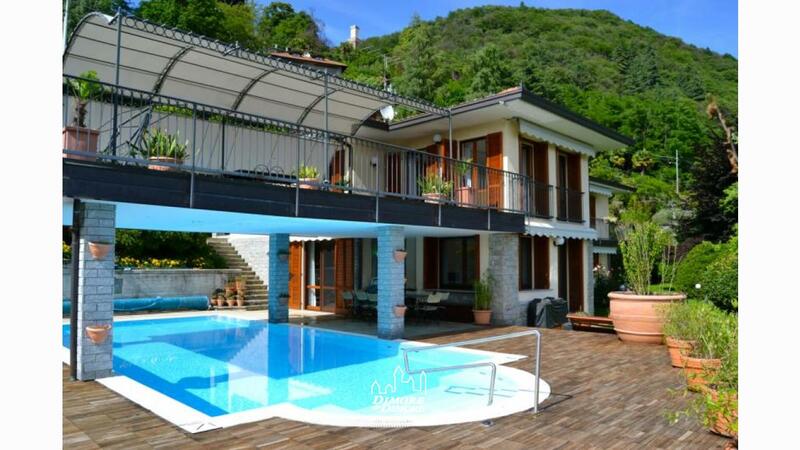 The front view shows a symmetrical structure, on two levels, at whose center is the living area of the ground floor and first floor on the right are two sleeping areas, left the large terrace at the bottom creates a porch and a roof Partial to the pool. 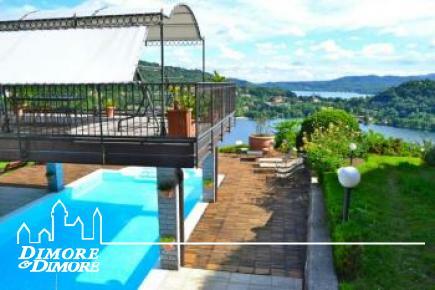 The description of the interior below will better understand: the mezzanine of 182 square meters, is represented the main entrance of the house, with entrance, living room with fireplace, sitting area overlooking the lake with access to the terrace (50 sqm), dining dining room, kitchen. 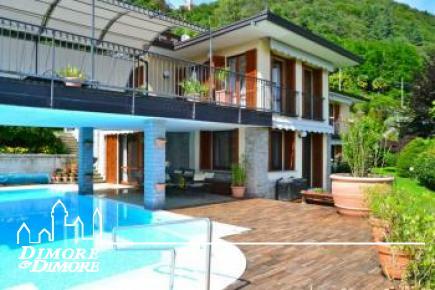 The sleeping area has two bedrooms with balcony and two bathrooms. 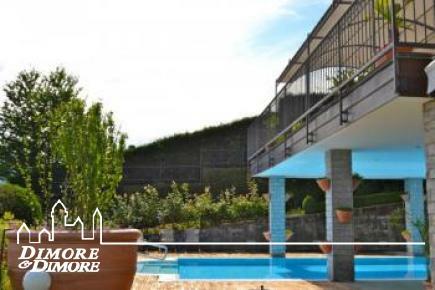 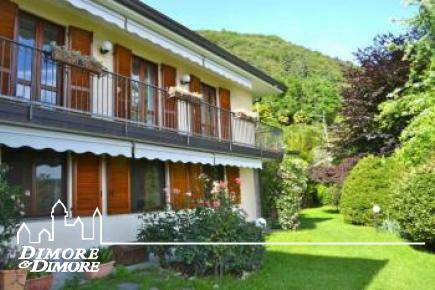 Added to this are three bedrooms in the ground floor (Total square meters 173) served by two bathrooms. 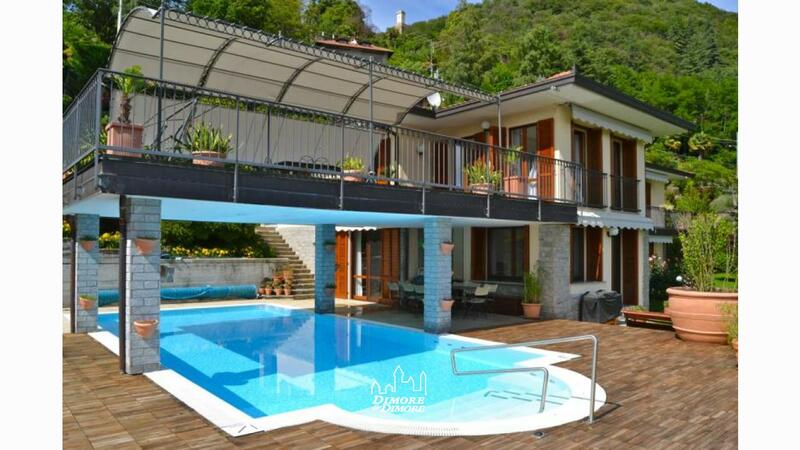 Here is a lounge area with a porch overlooking the swimming pool of about 10 square meters, which continues round the pool with a wooden floor. 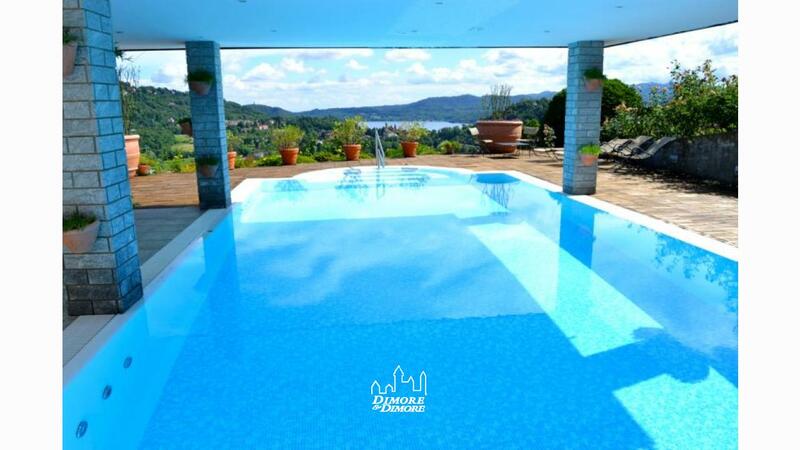 The heating system relies on a natural gas boiler supported by solar panels, this system provides the space heating via radiators and the heating swimming pool water. 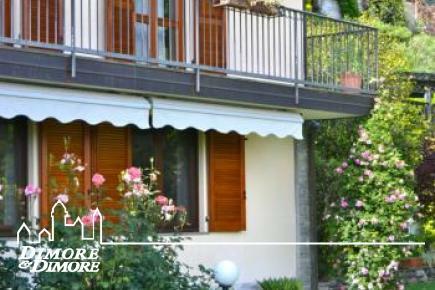 A generator provides continuity of electrical supply in case of interruption of service.